für Dolby Vision und Dolby Atmos! 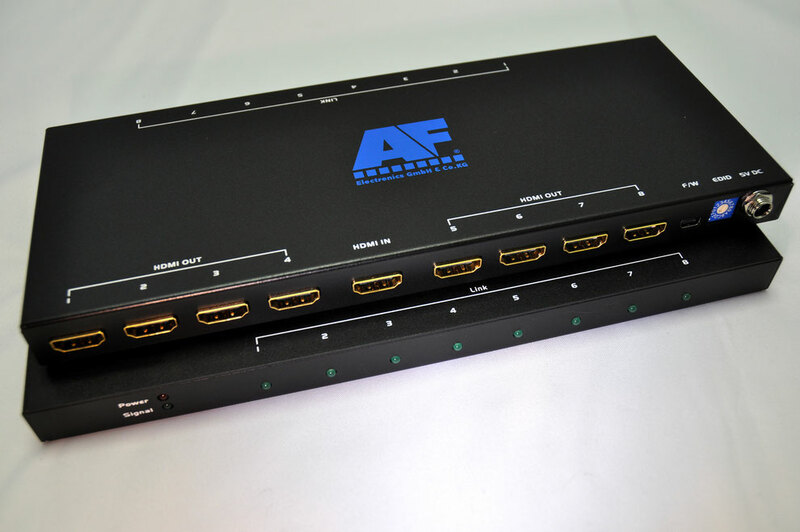 At only 18mm, the AF-H20SP18 is an ultra slim, HDCP 2.2 / 1.4 compliant 1x8 HDMI splitter. It is capable of delivering up to 8 video output simultaneously at Ultra HD 4K resolution (3840 x 2160) with a frame rate of 60 fps. 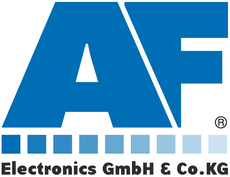 AF-H20SP18 supports various types of 4K formats including 4K/60p/4:2:2/36bit, 4K/60p/4:4:4/24bit, 4K/24p（30p）/4:4:4/36bit and other resolutions. AF-H20SP18 is also capable of delivering premium Ultra HD content with HDR (High Dynamic Range), supporting both xvYCC (x.v.Color) and Deep Color, and also supports up to 7.1ch surround sound. Along with Auto EDID analysis mode, the AF-H20SP18 is also equipped with EDID emulation, selectable from 12 preset EDID configurations. EDID mode can be configured via a 15-position dial switch. Acquiring EDID from selected HDMI ports (ports 1 or 2) can also be selected, providing a versatile range of settings and preventing display losses due to cable disconnection or power loss. The AF-H20SP18 also features a screw-lock DC connector, preventing accidental disconnections especially from heavy sound vibrations. For EIA standard 19 inch rack installation, the AF-H20SP18 has a 1U height rack mount kit [AF-H20SP18R] available as an option accessory. The rack mount includes screw holes for secure fixation of HDMI cables.